Supervision of doctrine making is one way by which civilian control is exercised over the military. Military doctrine writing is largely done within the military. However, it is to be in close coordination with the Ministry and national security institutions. This is clear from the fact that, firstly, military doctrines are based on the government’s strategic doctrine; secondly, the civilian part of government has to have a sense of ownership of the doctrine by being part of the process; and, finally, military doctrines must receive ministerial imprimatur to signify that they are outcome of a shared process and responsibility. 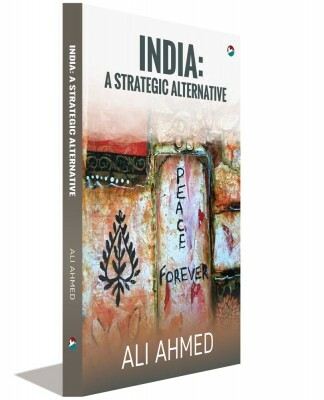 As for the first, the fact that India does not have a strategic doctrine in the form of a white paper or an open-domain strategic defence review is well known. While the National Security Advisory Board does undertake defence review, it is not within the pail of government. As seen when it released the Draft Nuclear Doctrine in 1999, the government indicated that it is merely advisory. As for the second -civilian participation in doctrine making – it is not self-evidently the case in India. And, the last – governmental ownership – can be assumed from the press statements that accompany release of doctrine. This article reflects on the second aspect: ministry participation in doctrine making. It is not known as to the extent the Ministry of Defence is part of the process of doctrine formulation in India. Its website carries no mention of doctrine formulation. There is also no reference to conventional doctrines in the Annual Report of the Ministry. This suggests the Ministry is keeping at a distance from the doctrinal sphere, perhaps under the mistaken impression that the doctrine function is solely the military’s preserve. If this inference is a fair approximation of reality, it is certainly yet another area of deficit in civil-military relations in India. It indicates that the ‘lesson’ of 1962, of civilians keeping out of military matters has possibly been over-learnt. Since there is considerable overlap with the civilian sphere, the doctrinal space is not one that can be left to the military alone. While the overlap is self-evident for subconventional doctrine involving as it does the defence and home ministries, it is equally so for conventional doctrine. The region now into the second decade of the nuclear age, the nuclear and conventional doctrines are intertwined. Since the nuclear doctrine is a politico-strategic function, with apex level military input and participation, the nuclear doctrine making is understandably a civilian led process. Military conventional doctrines are to be sensitive to the demands of nuclear doctrine on the conventional space. For instance, conventional doctrine cannot envisage operations that are overly escalatory. Since conventional military doctrines have to be cognizant of the civilian led nuclear doctrine, they cannot be without reference to civilian expertise in the national security establishment. Such participation of civilians is at two levels: at the ministry and at the National Security Council institutions. Military doctrines give out the manner the military wishes to fight future wars. Consequently, in peacetime they are critical to the type of military being formed in terms of strength, equipment, training and elan, and serve to inform military plans. In wartime, they inform military strategy. Since the Ministry has a role to play and an interest in all these aspects, such as for instance in platform acquisitions necessitated by doctrine, it needs to play its part in the doctrinal process. In case the Ministry’s engagement with the process is suboptimal then problems emerge down the line. An illustration is the indication by the defence minister of a stepping back for financial reasons from the creation of the mountain strike corps. 17 Corps is reportedly to be pruned so as to make its additional manpower and necessary equipment acquisitions affordable. The corps has been under discussion for over half a decade. It is a result of the revision in army doctrine that was reported in the press in end 2009. 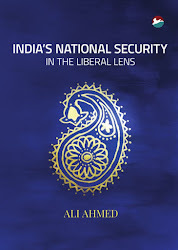 The army doctrine of 2004 had thereafter been revised and released internally in 2010. The revision of doctrine was however not revealed in the public domain through a press release as is usually the case. 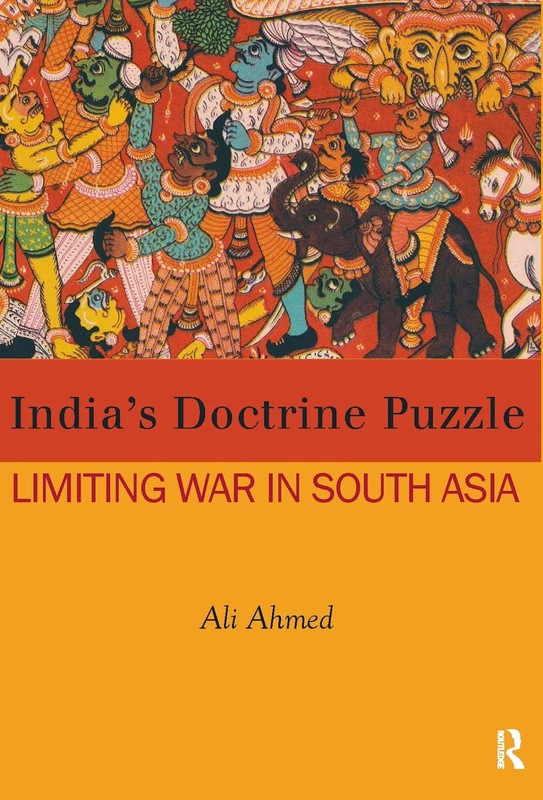 The revised doctrine, unlike its 2004 predecessor, being confidential, press reports on doctrinal change of the period suggest a ‘two front’ doctrine with a similar offensive turn on the China front being envisaged as had been adopted on the Pakistan front under the 2004 doctrine.The ‘two front’ doctrine envisages a counter offensive capability also be created for the China front, akin to the strike corps in the plains. The implications for size and equipment of the army are of such magnitude that a doctrinal shift cannot obviously be taken without governmental imprimature. The previous UPA government authorized two mountain divisions late last decade and with reluctance gave approval for the mountain strike corps only in mid 2013 after much stalling by the finance ministry. It would appear that the present government’s reservations on the costs are a legacy of the period. It can therefore be concluded that had a ‘whole of government’ approach been part of doctrine formulation at the outset itself, this awkward stepping back on 17 Corps would not have been necessary. A second illustration of disconnect between the ministry and the military concerns subconventional doctrine. It has recently emerged that in 2013 the army adopted a new edition of the Doctrine on Sub Conventional Operations of 2006. As with the 2010 revision of the conventional doctrine, Indian Army Doctrine 2004, the DSCO 2013 has been kept confidential. It is not known as to the extent the changes are merely cosmetic making the 2013 version merely a new edition or are substantial enough to reckon that it is indeed a revised doctrine. Since it is confidential, it cannot be known as to the levels of participation of the two ministries in internal security – defence and home – in its revision. The DSCO 2013 was released internally without intimation in the open domain through a press release. Therefore, it cannot be known if the doctrine has ministerial imprimature. Clearly, subconventional operations overlap the civilian sphere almost wholly. Since the DSCO 2006 version was in the open domain and well received for its ‘iron fist in velvet glove’ thesis, that the 2013 version has instead been kept confidential is intriguing. Had the two ministries been hands-on participants in doctrine making then this situation would unlikely have arisen. This underlines the point of ministries distancing themselves from the doctrine sphere. It can be argued that this owes to ignorance of matters military. This is probably quite right, but cannot on that account be allowed to stand unchallenged. The ministry cannot abdicate the doctrinal space owing to its deficiency. It has to be instead to be held accountable. It has to create the structures necessary to participate actively and exercise oversight effectively. This can be done, for instance, by empowering the affiliated think tanks of the ministry and the forces HQs. Just as the ministry of external affairs has ratcheted up its policy and planning division under the new foreign secretary, the defence ministry could likewise upgrade itself with an in-house think tank of academics, bureaucrats, veterans and practitioners.